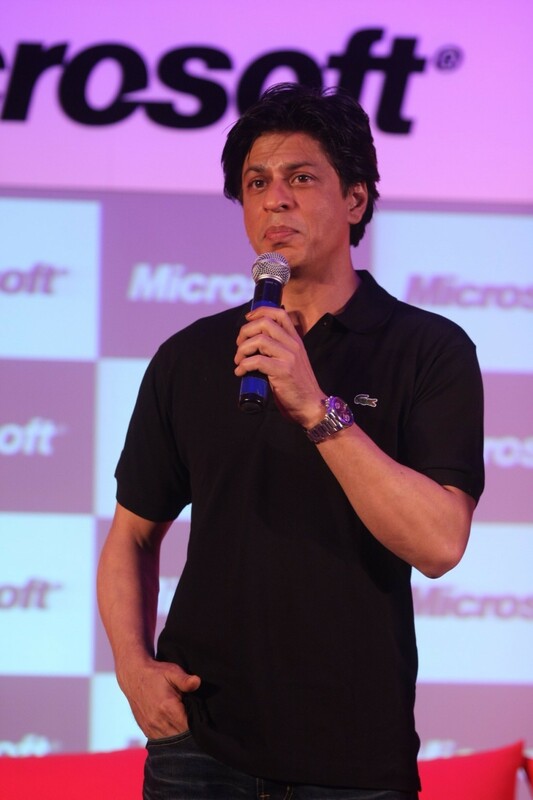 The Badshah of Bollywood, Shah Rukh Khan was here in the City yesterday, making an appearance with software giant Microsoft’s internal event. King Khan made the most of his visit here, getting all nostalgic, especially as his mother hails from Hyderabad. SRK tweeted all his excitement while in the City. Long drive also constituted the important part of the itinerary. Shah Rukh has half Hyderabad, half Pathan roots, with his parents hailing from both the worlds. The star is well known for an endearing love that he holds for his late parents even today. His mother, Lateef Fatima Khan hails from the City of Pearls, and his father, a Kashmiri. SRK really savored the stay even if it was for a brief stint. Khan had been riding a high wave of success with Chennai Express becoming a huge hit last year. His next film by Farah Khan, Happy New Year, is all set to strike the screens later this year.